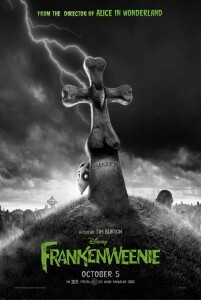 Empire has a look at the teaser poster for Tim Burton’s animated feature Frankenweenie, based on the live action short of the same name. Edgar Wright has signed on in the early stages of The Night Stalker, produced and starring Johnny Depp. The film does not yet have a writer, so don’t get too excited. But this should be a fun pairing. From Empire. Want to meet the stars of The Hunger Games? Well you just might get your chance as it’s been announced the cast will be doing a mall tour for one week in March before the film premieres. From Digital Spy. While you’re at it, take a look at two new TV spots Digital Spy has posted for the film. Martin Freeman has been signed for the film adaptation of the online series Svengali, about the music industry. From NME.